Wishing you all a wonderful holiday and a special time to give thanks on Thanksgiving and everyday. We love to have you post your comments, thoughts or questions to delight us all in the day ~ especially, ArtMuse Dog ^_^. I hope you have a wonderful Thanksgiving Day! I just always feel better just for coming here! What a lovely dog you have! 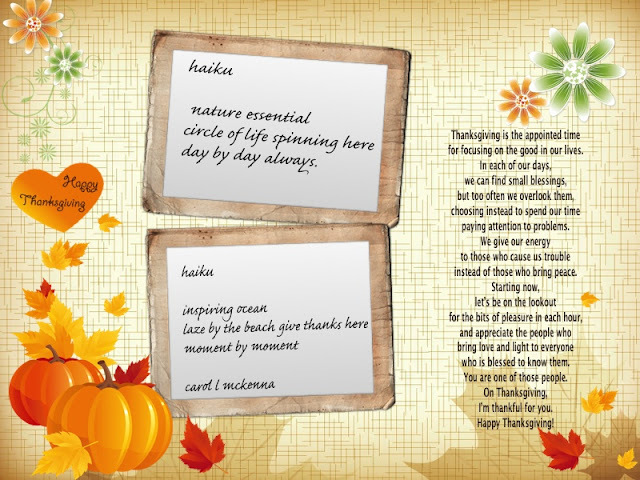 =) I hope you'll have a wonderful thanksgiving day! we do not celebrate or have that day here..
Adorable with her curled tongue . . . ours does the same and looks so much like yours. Well done! Art Muse dog is so darn cute and that sunset is gorgeous. Have a blessed Thanksgiving! The photos of your dog are so sweet. Happy Thanksgiving! Thank you for sharing this beautiful post! Your dog is such a sweetie! Have a great week! Happy Thanksgiving! I think he surely deserves some apple pie...he is so lovely. Great pic too. Super S words and shots. Happy Thanksgiving ahead! Such a sweet dog Carol! Your little art muse dog is adorable! Have a lovely thanksgiving! Beautiful sunset shot and I love the cute smile on the doggie! Your dog is so cute! Thanks for sharing your pics. The rabbit looks a little scared. Happy Carpe Diem party, Carol, a toast? Chin-chin! Thanksgiving Day ... is a really great day I think, but I am not familiar with Thaksgiving Day because in The Netherlands we don't have such a day as far as know. Nice set of haiku Carol. Thank you for sharing. Beautiful pics and such a cutie of a dog you have. Athough not American we wish you and all your friends a Happy Thanksgiving. 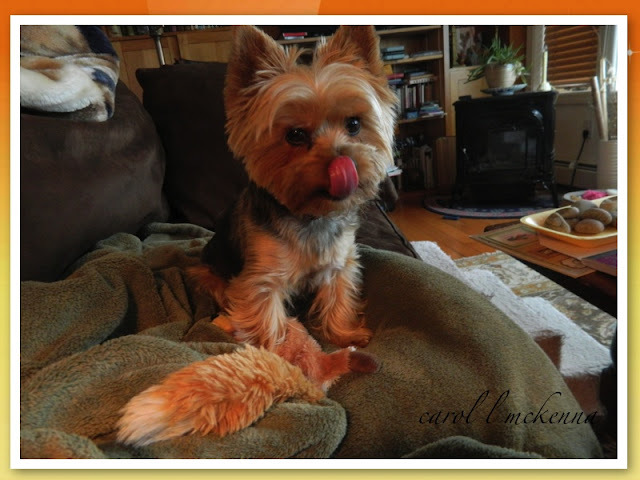 Happy Thanxgiving to you, Carol....I love that Zoe pic - looks like she's licking her chops after killing that hairy critter under her paws! Love that tongue picture! Happy Thanksgiving to you too! Love your photos!! That sunset is gorgeous, and your pup is adorable!! :) Thanks for stopping by Chaos & Coffee! Have a beautiful day!! Happy Thanksgiving! I love your spectacular sunset picture! The apple pie look is so cute! Giving thanks moment by moment is essential to health and happiness, no? 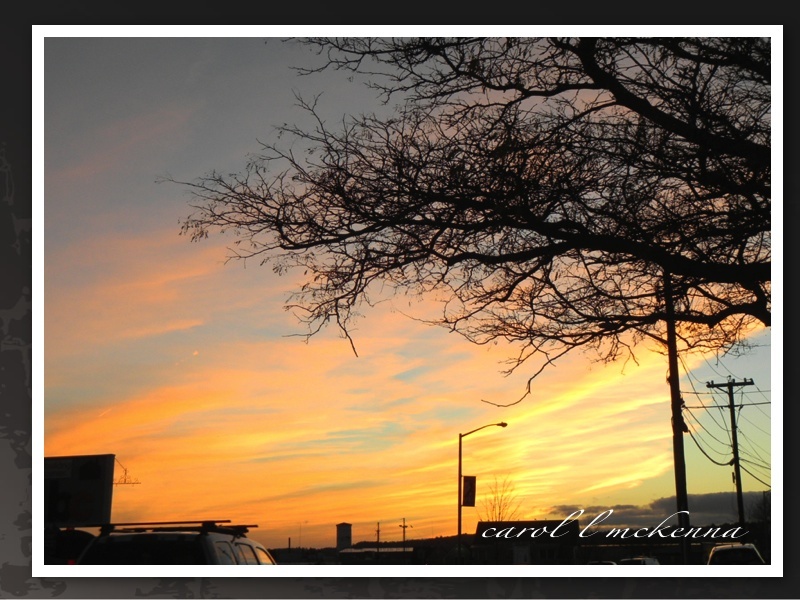 Happy Thanksgiving Carol -- and thank you for your lovely posts. Feasts for the eyes and the mind. Oh I think it must be apple pie all round, although I seem remember that it is traditionally pumpkin pie for thanksgiving. I suspect that Art Muse Dog would like both:-) Enjoy your thanksgiving. Your Art Muse baby is particularly cute this week with the Thanksgiving Day 'poses'! Have a Blessed Day tomorrow! I enjoyed your haiku and I'm glad to have found your "creative harbor". I'll be back again. Happy Thanksgiving! Happy Thanksgiving Day, Carol, lots of blessings. I so love your puppy!!! Have a wonderful Thanksgiving. aha, that's the way to include all the memes in!LOL. I love that sunset shot the most. Cutie heart stealer! He distracted me from your haiku :) I could cuddle him all day. Such a cute dog and a great haiku. Happy Thanksgiving, Carol! very cute dog! :-) Happy Thanksgiving to you. ArtMuse dog, I bet you're thankful for your fox friend (it is a fox, isn't it...) and that apple pie! Happy Thanksgiving! Thave a wonderful Thanksgiving Day! Your little dog is a cute doll and apparently ready for the turkey ! We don't celebrate Thanksgiving in Europe as our ancestors stayed here and didn't sail with the Mayflower,lol ! Your dog is so adorable, love the phooto with the curling tongue. Gorgeous. Happy Thanksgiving! Your dog is so cute!! Just one bite of pie?? Happy Thanksgiving. Your little dog is awful cute! 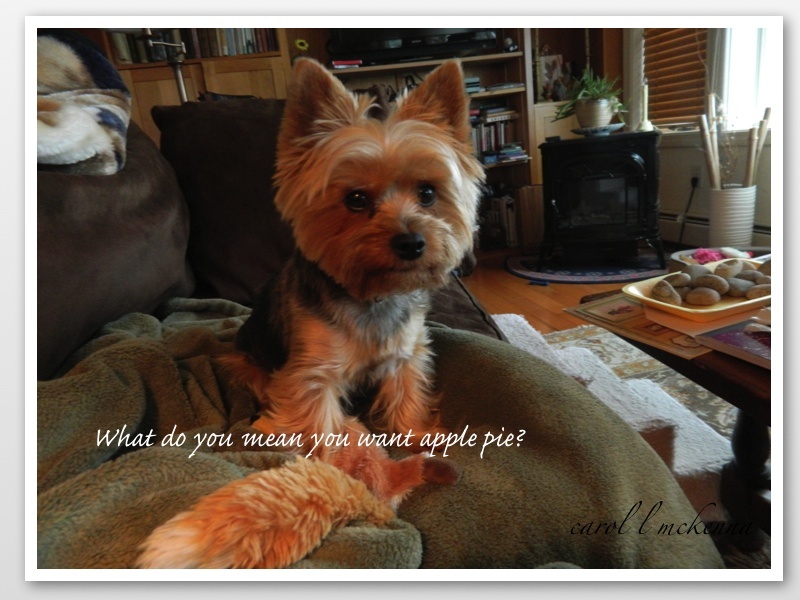 The apple pie pix is my favorite. Happy Thanksgiving! · Thanks for your visit and nice comment. What wonderful pictures! Your pup is so cute. The haiku are lovely. It really is the time of year to notice the cyclical nature of life. Hooray, I finally get my PC back so I am playing catch up with all of the S entries this week. SketcheS, please come and see. What a great bunch of photos and poetry. 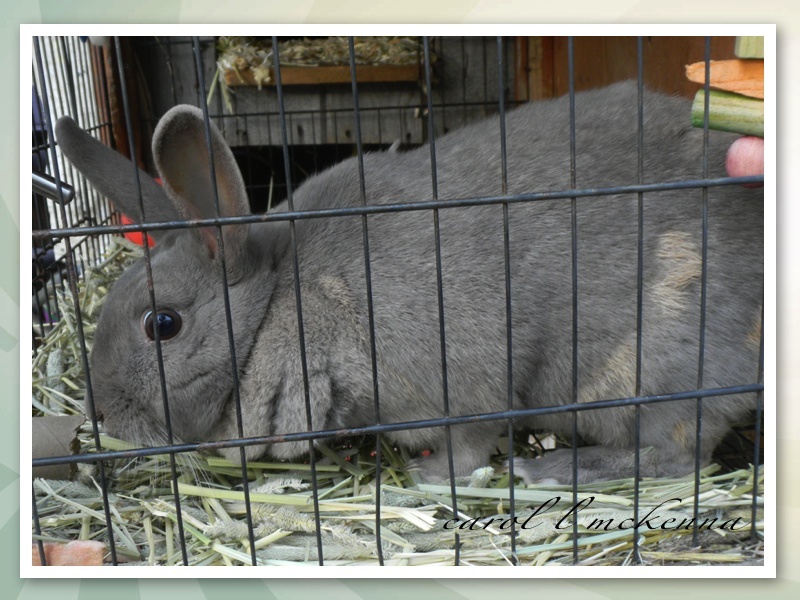 Your blog makes me smile! That top picture made me smile. What wonderful captures and writing. This was an amazing link for the letter A.